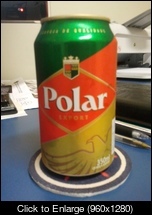 I'm starting with a good brazilian...Polar Beer!! A Disintegration based set would be nice. Pictures of You. Looks like they are moving things round. They can skip IBD for all i care. And FIL, I know it's Friday... but really, it's not necessary, we know it allright. I think someone shut off the internet in South America. hahahaha ... that was good!